Bellarmine University’s leading-edge work in predictive modeling with Rapid Insight’s Veera platform wins second innovation award. LOUISVILLE, KENTUCKY — The National College Learning Center Association (NCLCA) presented the 2018 Innovative Use of Technology Award to Bellarmine University for its success in predictive modeling with the Veera platform. Bellarmine University is an independent, private Catholic school in Louisville, KY. The Department of Institutional Research and Effectiveness has been successfully using Rapid Insight’s Veera analytics platform since 2014. Over the past few years, the department created an ambitious, data-driven pilot project. The project uses the Veera platform to prep, clean, and track student information in order to improve student success efforts. Kristen N. Wallitsch, the Associate Dean of Student Success for Academic Support, works closely with the project and was a recipient of the award at the NCLCA’s 33rd annual conference, held on Oct. 2-5, in Niagara Falls, New York. She and her colleagues presented their work at the conference. The pilot initiative also received the American College Personnel Association’s 2018 Innovative Academic Support Initiative Award in February. 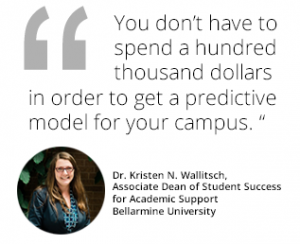 Bellarmine University continues to make groundbreaking efforts in using predictive modeling for student success. Rapid Insight is an analytics solutions company driven by the goal of making data, along with the knowledge locked within data, more accessible to everyone. Focusing on speed, efficiency, and ease of use, Rapid Insight’s products empower users of any skill level to quickly turn raw data into actionable information. The company’s Veera analytic platform simplifies the extraction, analysis, reporting, and modeling of data for clients across multiple industries. For more information, visit www.rapidinsight.com. 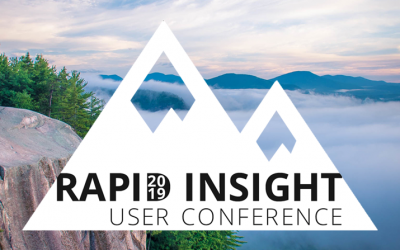 Conway, New Hampshire — April 11, 2019 — Rapid Insight, an analytics software solutions company, today announced that the speaker schedule has been finalized for the 2019 Rapid Insight User Conference. Presentation details and a complete event schedule are now available online. Speakers include data science thought leaders from regionally diverse public and private institutions who will share best practices using the Veera platform. 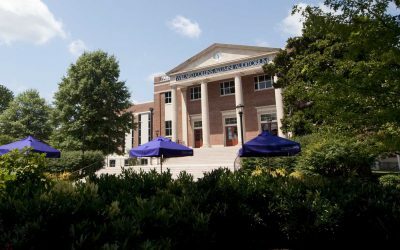 April 2, 2019 — Rapid Insight, an analytics software solutions company, today announced that Lipscomb University is leveraging Veera Bridge, the company’s newest element of the Veera platform, to save time and increase productivity of its Institutional Research (IR) department. January 24, 2019 – Rapid Insight, an analytics software solutions company, today announced an open call for presenters for the company’s annual Rapid Insight User Conference. The conference will feature ten customer presentations focused on innovative, real-world predictive modeling and data reporting experiences using the Veera analytics platform.